Lead Fluid silicone tubing adopts imported silicone rubber material and platinum-cured process. The tubing has characteristics such as non-toxic, biological inert and UV resistance, ozone resistance, heat resistance, high transparency, strong resilience, resistance to compression, etc. 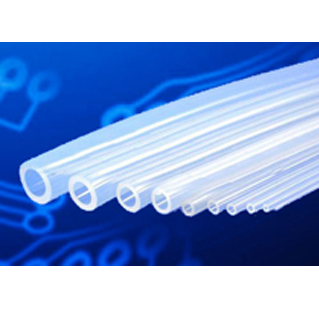 It is the optimal material of tubing and can be widely used in scientific research and production areas such as GMP pharmacy, biotechnology, molecular biology, fine chemistry, environmental protection and food processing. Excellent durability and aging resistance; outstanding physical and mechanical properties; weak performance in acid and solvent resistance.